Although Ranthamore National Park is one of the best places in the world to attempt to observe tigers, even there it is unusual to see them. 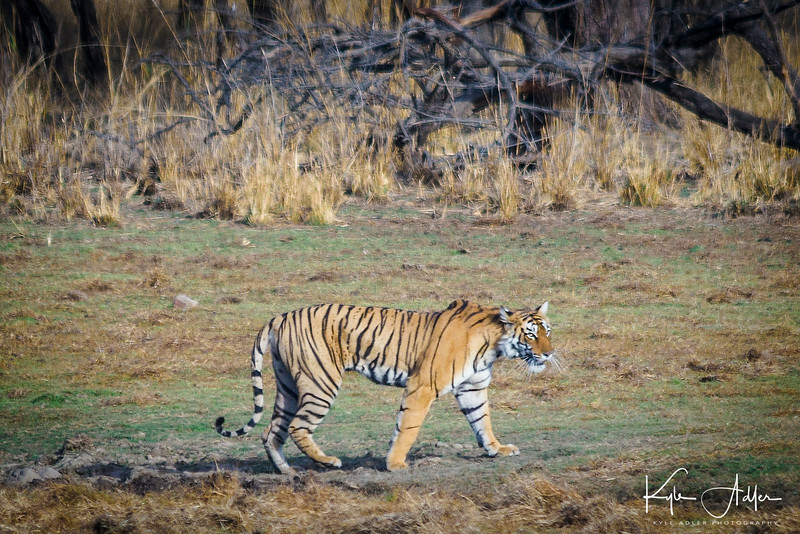 We were very fortunate during our early morning game drive to encounter two tigers. The first, this female, was not particularly close by was stalking prey in an open and forested terrain. The second, a large male, was near our vehicle but was obscured in dense jungle.